This year, we have taken a few trips already and have three more mini vacations planned in the next three months! If you know me, you know that I do not leave the house without food, ever. I am a huge snacker and so is my daughter. 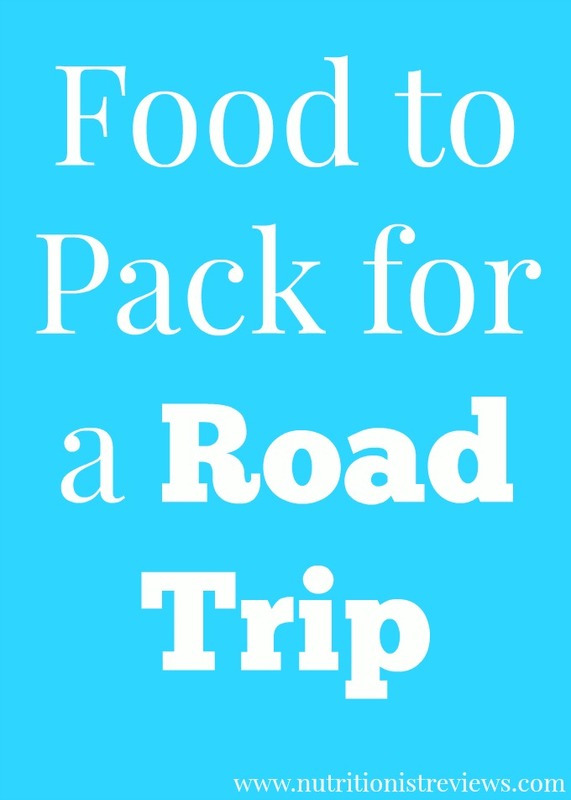 Therefore, when we go somewhere, I make sure that we are well prepared for the trip with lots of good eats. By bringing your own food, you can save money and eat healthier. Both of these things are important to me so they are a priority when going on a trip. Plus, I like to have something ready to go when the hunger bug hits and not have to stop somewhere to get something to eat. As I have written about before, I am obsessed with Google docs and use those and paper to write everything down so that I do not forget anything. A week or so before we leave, I plan out what we need for the trip in terms of food and make a list. I think about if we need to bring any meals, if we need to eat the meal in the car or not, if our hotel has a fridge and/or microwave, etc. I think about how long we will be gone and how much we will need. -Fresh fruits- apples, oranges, bananas, etc. -Bars- protein, granola bars, etc. -Lots of gum! 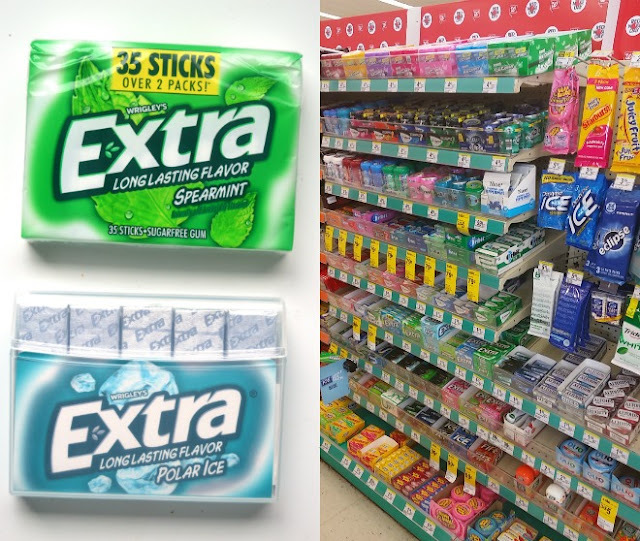 We like the new Extra® Gum 35-stick pack from Walgreens (you can find them right in the checkout line) because it comes with a lot so we do not run out on our trips! After our meals or whenever, we just pass the package around and there is more than enough to go around! We like the Extra® Gum Spearmint and the Extra® Gum Polar Ice®. Even better, the package is made with durable, recycled packaging. -Homemade pasta salad with beans, cheese or chicken for protein- pack in plastic containers and bring plastic forks so you can throw away once you are done. -Sandwiches- we have brought ham sandwiches or PB and J on trips before and this works well. -Egg casseroles- when we went to Castaway Bay, my sister brought an awesome Mexican egg casserole for breakfast which stored well in the mini fridge and we just heated it up the next morning and ate on paper plates. -Healthy fast food- we often try to bring our meals but sometimes, we do not feel like it or it just does not work out. We do not mind stopping at a place like Subway for a pretty healthy meal. The night before we leave, I pack up all of the food that does not need to be refrigerated in a bag so I have it ready to go. Anything that is perishable, I chop up the night before such as our veggies and put them in a plastic bag in the fridge. I make a section of all the food I need in the fridge so that I can just load it into the cooler the next day. I feel so much better when I am prepared. I can go a little crazy packing for a trip! Right before you go, pack up all of your food. Sometimes, we take a cooler but sometimes, we just take an insulated reusable bag. I like these because once the food is gone, they fold up easily and do not take up as much room as a cooler. It depends on how far your trip is of course- food safety first! This is what works for us for traveling! We are always working on improving the process. For example, some trips, we pack way too much. And sometimes, I accidentally put the food in the trunk and we have to pull over because my daughter is screaming for snacks! I love traveling with my family and it makes the craziness of getting ready for a trip so worth it.